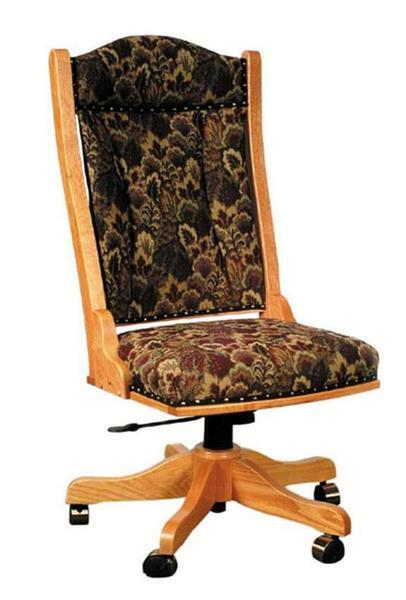 Select your upholstery color or pattern that will cover the seat and back panel of your new Amish Office Chair. With over 60 fabric and leather samples to choose from, you are sure to find a look that is perfect for your personal style and work space decor. This beautifully crafted desk chair is as comfortable as they come and will definitely help you to relax a bit during your high paced and stressful work environment.